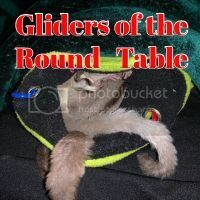 Register Log In GliderCENTRAL Forums Glider Talk and Traveling Oh Balls! Last night I am dishing up the gliders food and I am down to the last 6 dishes and everything goes dark! After a few choice words I stumble around in the dark looking for my flashlight. Found that finished dishing up the food and head to their room. Just what I wanted to do was put dishes in by flashlight. Thankfully I managed to get them feed with out any escapees. So I go get a glass of milk and take my meds and head to bed. Not going to get any sleep they are all barking! With no power there is no light from next door shining into their room, so they are upset and barking. The epic saga begins here! May need a solar light as a backup... Sweet dreams and hope you get your power back.